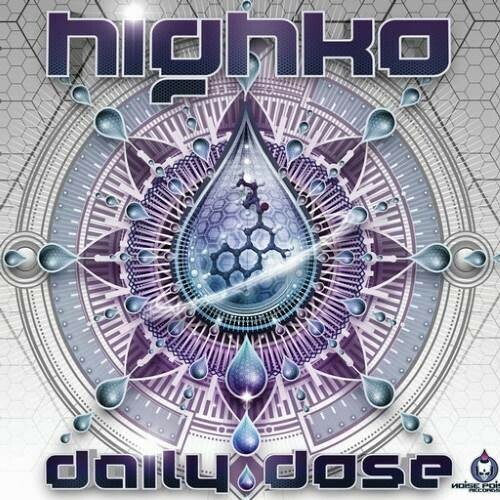 From the mind of a master and true artist, Noise Poison Records is proud to share with the world the new CD Daily Dose from Highko. Fulfilled with hi technological sounds powerful leads and an amazing groove, Daily Dose is another masterpiece for the true lovers of powerful psychedelic music. Once more Highko worked to brings us something out of the ordinary. Delivering us the true hi-tech sounds and the Noise Poison style that we all are proud of. Also amazing are the subliminal messages during the album and the nice way Highko keeps pushing you to blast, don't letting you get bored at any point. Its a true Dose of psychedelic music designed to make you dance from track 1 to 10.